For those not counting, there have been eight B.C. trade missions to China alone in the last 18 months. Forests minister Steve Thomson is set to leave on a ninth mission this Friday. Trade missions aren't cheap, they set the B.C. government back $767,000 in 2014 and that doesn't include the bill for local governments, universities and other agencies. For those not counting, there have been eight B.C. trade missions to China alone in the last 18 months. Forests minister Steve Thomson is set to leave on a ninth mission this Friday. Premier Christy Clark came home from her third trip to China, in early November, proudly waving one letter of intent, one strategic cooperative agreement, two strategic partnership agreements and 18 MOUs, signed by 28 companies on the mission. One company re-announced a 2014 investment agreement. Add the new dollar announcements in the mission backgrounder all up and they total $25.9 million. Meanwhile -- as Clark was warming up for the Terry Fox run in Hong Kong -- Ontario premier Kathleen Wynne announced $1.2 billion in new agreements on the first stop of her trade mission to China. By the time Wynne left, she was clutching $2.5 billion in agreements. Trade missions aren't cheap, they set the B.C. government back $767,000 in 2014 and that doesn't include the bill for local governments, universities and other agencies. Think $15,000 to $20,000 per person for flights, transportation, hotels and meals. B.C. 's education sector is certainly no slouch when it comes to tagging along. In 2014, international trade minister Teresa Wat led a mission where nearly half of the 53 member delegation were from the education sector, 22 from the public side and four private. Strangely -- given the delegation's composition -- neither then education minister Peter Fassbender nor then advanced education minister Amrik Virk accompanied Wat. Quickly remedied. Five months later, the new advanced education minister, Andrew Wilkinson, led another trade mission to China, with four post-secondary institutions and the B.C. Council for International Education. Four of the five had just returned from Wat's trade mission. How has all this jet-setting worked out for them? According to Citizenship and Immigration Canada, the number of international students in B.C. on study permits has increased from 26,483 in 2009 to 28,400 in 2013. Nothing to brag about, particularly when you consider that in the same period, B.C. 's share of international students fell from 31 per cent to 25 per cent of Canada's total. Ontario's share rose from 36 per cent to 44 per cent. Each mission comes with pomp and ceremony. Clark has opened the Hong Kong Stock Exchange, plaques have been unveiled at a school in India and at the China Canada Clean-Tech Innovation Centre. There have been tête-à-têtes with Joon-Yang Chung, then CEO of Korean-based steel producer POSCO, and two with Malaysia's Prime Minister Najib Razak. While some mission announcements do come true, others don't and some were never about B.C. Much was made of POSCO's 2011 announcement that it would invest $181 million at the Mount Klappan coal mine in northern B.C. Little was made of the government's decision this year to buy back 61-disputed licenses associated to the mine from POSCO and Fortune Minerals for $18.3 million. Up $181 million one moment, down $18.3 million the next. The Douglas Channel LNG project was a key part of Clark's 2013 trade mission, even though the proponents plan to build their $300 million floating terminal in China, if they can get around a 25 per cent federal tariff. Of the dozens of MOUs signed on missions, one -- between the Vancouver Airport Authority and the Shenzhen Airport Group -- is "to share information and knowledge, learn and benefit from each other." Mission updates drip with catchy phrases: top priority markets, high-level meetings, co-operation agreements, accelerate research collaborations. 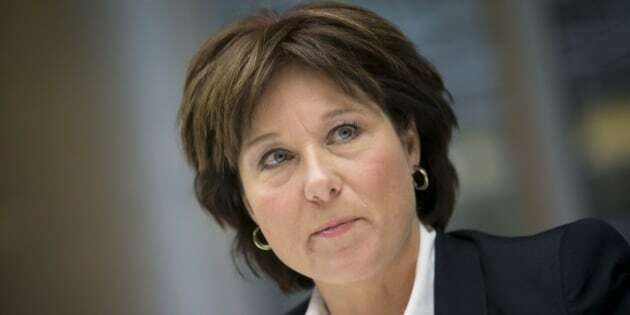 For Clark's trip this month there were 12 updates, but only seven came from the government itself and two of those were focused on Clark running the Terry Fox Run. They're thin on results too. May have a bit to do with the fact that between 2011 and 2014, the value of B.C. exports to the Pacific Rim rose by 1.35 per cent to $14.212 billion and fell as a share of total exports from 42.9 per cent to 39.7 per cent. In the same period, the value of exports overall rose by 9.47 per cent. At $34.25 billion in annual trade with Asia-Pacific countries (imports and exports), B.C. has a ways to go to hit the government's 2009 forecast of $76 billion in trade by 2020. Thinking out loud here, but maybe fewer photo-ops and more elbow grease should be the order of the day on future trade missions. Note: Pacific Rim includes trade with: Japan, Hong Kong, Malaysia, Brunei Darussalam, Singapore, Laos, Mongolia, China, Indonesia, North Korea, South Korea, Philippines, Macau, Taiwan, Thailand, Vietnam, Australia, Fiji, New Zealand.